This guidance was prepared by the Risk Group, established jointly by the UK’s actuarial and civil engineering professions. It gives points to consider to lower the risk profile of an asset. The recommendations formed part of a recent report 'In Plain Sight' by Professor Peter Hansford into the potential vulnerabilities in our economic infrastructure. Following the Grenfell Tower fire, it is important to remember that there are many sources of risk which could endanger people, and that some of these risks could apply in infrastructure of any type, not just buildings. The need to be sure who has responsibility for each of the various risks. The possibility that, despite all the precautions already taken, hidden risks may exist which can only be revealed by systematic work, including the acquisition of knowledge of what has happened previously or elsewhere. The possible need in some cases for a refreshed and proactive approach to risk identification and mitigation, led by senior management. This guidance is directed to those responsible for infrastructure of all kinds, who may wish to review whether there are hidden safety issues, as emerged so tragically in the case of Grenfell Tower on 14 June 2017. The guidance summarises some of the actions which could be taken in such a review, though it will, of course, always remain with the responsible authorities to consider whether such a review is necessary and, if so, how far it should be taken. Professional advisers (including civil engineers), whether they know of safety issues or not, are invited to show this guidance to their relevant contacts in the responsible authorities. If professional advisers are themselves aware of potential safety issues in a particular case, they have a duty to draw those concerns formally to the attention of the authorities responsible for safety there, with recommendations for the actions which should be taken. For example, if an engineer who works on the maintenance of a particular structure, which was constructed many years ago and is used by the public, believes that it would be prudent to test some of the materials in it for fire resistance to modern standards, he has a duty to report accordingly. There are three principal causes of failure – People, Process and Product. All three of these are relevant when thinking about infrastructure safety. The right people need to take responsibility for safety in a proactive manner. Existing processes and procedures should be carefully examined to see whether changes are needed. The construction of the infrastructure itself may need to be studied, in the light of the most up-to-date knowledge about materials and about accidents which have occurred elsewhere, and there may even be some aspects of its design which need to be modified. There have recently been at least two instances in the UK where numerous buildings have been discovered to have hidden risks:The underlying causes of these particular events, and the responsibilities for them, may be debated for a long time, but this paper focuses instead on the actions which can be considered now by those responsible for all kinds of infrastructure, not just buildings, to reduce unnecessary risk. It is not sufficient to rely only on compliance with regulations but a new and pro-active approach is recommended to search out and manage hidden risks. Defects in the external walls of many Scottish schools built in recent years were uncovered after one of the walls collapsed. This followed the collapse of an internal wall at another school, resulting in a pupil’s death. Fire Safety deficiencies in many tower blocks were revealed following the Grenfell Tower fire disaster. It has since emerged that tower blocks in Scotland and other countries have previously experienced similar events, sometimes with loss of life. Fire risks, although very important, are by no means the only sources of risk, and we believe that fresh thought may also need to be given to the possibility of hidden safety threats which may be present from a variety of underlying causes, including insufficient maintenance, structural deterioration, construction short-cuts, the recent introduction of new equipment, equipment failures, explosions, overcrowding, flooding and other natural hazards, or having fewer emergency exits than necessary. Some safety responsibilities stem from statute and some from a duty of care, while others arise under contract. The infrastructure owner is recommended to review the responsibilities for the ongoing management of various safety risks and to clarify them in writing where necessary. Any ambiguities or gaps in the responsibilities must be eliminated. All the relevant statutory regulations must be identified and an exercise undertaken to ensure that there is a designated authority which is responsible for meeting each statutory requirement. For example, the legal duty for fire safety lies with 'those in control', and this may or may not be the owner. The authorities responsible for safety in a particular case should already be aware of their statutory responsibilities under the Regulations, but it may sometimes be appropriate for the owner to get each authority to acknowledge this in writing. Moreover, the authorities may have delegated part of their work to sub-contractors, who may also be asked to acknowledge their safety responsibilities formally. Each authority or sub-contractor responsible for an aspect of safety may wish to review its own procedures and the responsibilities and conduct of its staff. However, acknowledgement of each authority’s responsibilities under the Regulations, though important, will not in itself ensure compliance with the Regulations or deal with wider aspects of safety which may be seen as outside the authority’s control. For example, the authority responsible for fire safety may not currently have enough knowledge of, or be able to control, the flammability of the materials already built into a structure. It is necessary to ensure that the senior managers of each responsible authority take a pro-active and collaborative approach to discharging their safety responsibilities. The cultural aspects of the relationships between the different authorities and sub-contractors responsible for different aspects of safety in a particular case (and their employees) may also need to be reviewed, to ensure that they all take an open, constructive and cooperative approach to risk identification and management, based on accountability rather than blame. This will help to ensure that risks are brought to light in a timely manner and managed in the most appropriate and collaborative ways. The first priority for the authority responsible for fire risks should be to review the fire risk assessment and particularly: Consideration should be given to making renewed physical checks on the state of the infrastructure from a fire safety viewpoint. The obligations to carry out such checks are already imposed by law under the regulations – 'searching out' is a requirement – and a review of existing procedures will instigate a 'risk search' if necessary. Thought should be given to whether the procedures need to be refreshed as a matter of urgency. These will include procedures for dealing with emergencies and evacuating the structure. Existing instructions on how users should behave in emergencies of any kind should be reconsidered, and in particular whether users should remain where they are or try to escape. Fire is not the only risk, and consideration needs to be given to the additional procedures which are necessary to ensure as much safety as possible in the event of other emergencies, for example, explosion, accident, stampede, structural collapse, or sudden flooding – or emergencies which take an entirely unanticipated form. There needs to be a crisis management plan which is regularly tested with simulated crises and emergencies of various kinds, and has procedures for ensuring that key employees are available at any time of day or night throughout the year. Operating staff at all levels will need to be involved in some of these exercises, to ensure that they are as well prepared as they can be for any type of emergency, not just one they have rehearsed but also a completely unexpected situation. Responsible authorities are recommended to review carefully any significant incidents which have occurred on their own infrastructure over the past 20 years, including 'near misses', to see whether they point to possible safety issues. Any safety concerns submitted by staff or members of the public should also be reviewed. It may be helpful to hold a brainstorming session of line managers and professional experts to identify existing safety risks and possible mitigation actions. The professional experts should already be aware of any major problems which have emerged during the last 20 years or so with other structures of a similar type, and whether the resulting incident reports contained recommendations which are equally applicable here. Insurers may also be able to help in these brainstorming sessions, by bringing to bear their own expertise and experience of dealing with many kinds of risk. Where the risk registers drawn up before construction of the infrastructure still exist, it may be worth examining them for safety risks then identified which have not been fully mitigated. Responsible authorities should check that there have been adequate structural surveys in recent years and that any significant safety recommendations have actually been implemented. 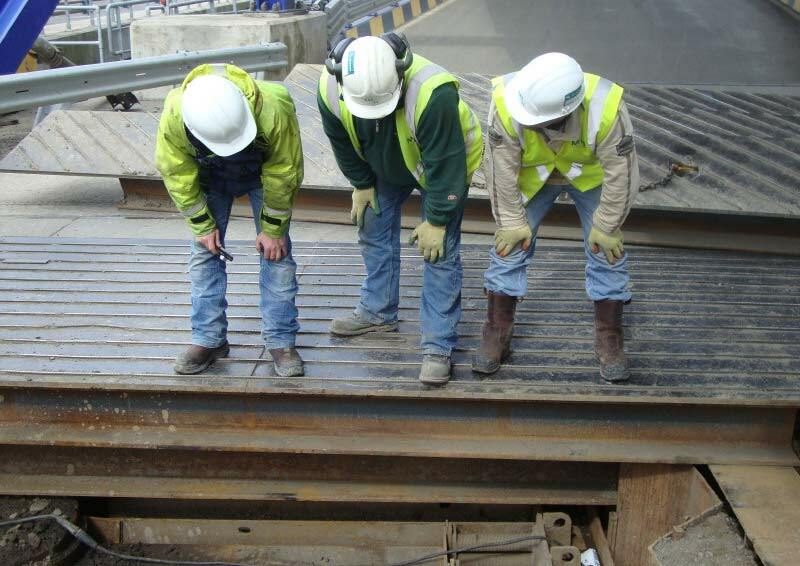 All the materials which have been used in the infrastructure should be reviewed from a safety viewpoint and checked against specifications and modern regulations, to identify any issues of potential concern. This applies even where materials have been certified in the past as complying with regulations. Samples of the materials should be tested where necessary. Where dangerous or combustible materials are protected, it needs to be recognised that during an incident the protection might become damaged and less effective. In the case of structures built many years ago, the exact nature of the materials used may no longer be apparent, and sample testing may be particularly important. Where the structure has been adapted or refurbished in recent years, or original equipment has been superseded by more modern equipment, there may be a need to review the changes to ensure that new and unrecognised risks have not been introduced in the process. Maintenance regimes should be reviewed and improved if necessary. Consideration should be given to the possible introduction of additional safety measures, e.g. extra procedures or electronic monitoring equipment. All staff should be reminded regularly of the need to bring any safety concerns to the attention of senior management promptly. Staff training in safety matters should be refreshed when necessary. While the work recommended in this guidance is in progress, it may be necessary to bring in temporary measures, such as the appointment of extra fire wardens, more frequent inspections, or in some cases limitations on the use of the infrastructure to prevent overcrowding. We recommend that every authority responsible for safety should draw up a plan for work such as that envisaged in this guidance. The first section of the work plan should deal with studying any obvious precautions that ought to be taken straight away (paragraphs 8 and 9) and any improvements which need to be made to the crisis management plan (paragraph 10). This should be followed by a section of the work plan which sets out and prioritises research and investigative work, including the timescales for it. There needs to be a clear decision-making system for formulating and prioritising any recommendations which arise from this work, and for approving the recommendations (including timescales) and allocating any necessary budgets. Precautions should be taken to ensure that any physical changes envisaged will not introduce their own risks, either while the work is being carried out or afterwards. The work plan should be kept under review as the work progresses - it will usually be important that the work is carried out as soon as reasonably possible, without any unnecessary delays which could imperil staff and users. Consideration should be given to how all the work can be effectively overseen by the right senior people having integrity of character, with a sense of urgency until it is complete. It may be necessary to inject a 'degree of grit' into existing systems and management structures, to ensure that the status quo is no longer necessarily regarded as sacrosanct, to stimulate new thinking, to challenge existing assumptions, and to provide for a renewed, energetic, purposeful, critical, incisive and holistic approach to safety. Health and safety professionals will often play a large part in the process, under the guidance of senior management, but they may need a range of technical help from other experts. In formulating recommendations on actions which may be needed to improve safety, it is usually not practicable to eliminate all risks entirely. All that can be done is to place a new focus on safety, reduce the likelihood of serious events and take precautions to mitigate the consequences if they occur, within the limits of available knowledge and the finance which can be provided. The aim should be to acquire extra knowledge, uncover hidden risks as far as possible, overhaul procedures, carry out any necessary work, and achieve a reasonable level of safety, such that users who were fully aware of this level would be happy to continue using the infrastructure. Judgments will sometimes be needed at a very senior level about whether a reasonable level of safety already exists or whether it is achievable. If not, consideration may have to be given to closing the infrastructure altogether, even if this causes inconvenience to users or difficulties for the owner. Careful thought should be given to whether there is a need to communicate with users of the infrastructure at various stages, for example right at the start, or after preliminary checks and decisions have been made, or while any physical work required is in progress. Even if no changes eventually prove to be necessary, users are bound to have a degree of anxiety if they can sense possible safety risks, and a failure to communicate with them could lead to ill-informed comment in the media or social media, and a loss of reputation. Whether there is to be a general programme of communication or not, it will usually be highly desirable to refresh and possibly reinforce or change any existing communications and signs about how users should behave in an emergency. It is now clear that hidden risks may be lurking anywhere, and we believe those risks with potentially serious consequences need to be sought out and managed effectively. This guidance sets out some very practical steps which we recommend should be considered in the coming weeks and months by the authorities responsible for safety in all kinds of infrastructure, not just buildings, to reduce the likelihood of a disaster and to mitigate the consequences if adverse events occur. However, this list of possible actions gives only a broad indication of some of the steps which may be needed, since each structure is different and will have its own context, organisation and risks. This article was originally published here by ICE on 16 January 2018. It was written by Charles Jensen, ICE and Chris Lewin, Institute and Faculty of Actuaries. Place infrastructure at the heart of economic policy. Why engineers need to know more about existing infrastructure.